We would like to take this opportunity to extend our sincere thanks to readers and members for the continued support you have given Global Research. On account of your insightful feedback, your willingness to share and forward articles, and your financial contributions, Global Research is able to continue delivering critical, timely and always independent information to its readers. At a time when the world is facing the threat of war alongside unprecedented economic uncertainty, when job loss is rampant, and people across the globe awake to the grim reality of financial instability, it can be difficult to find the resources to support organizations which, like Global Research, operate on a shoestring budget. 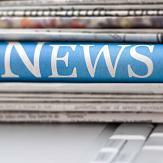 However, it is these very conditions that make the dissemination of news and analysis more important now than ever. We remind our readers that Global Research is able to maintain its independence because it does not seek financial support from private and public foundations. We have, in large part, been able to develop our activities thanks to the support of our readers. Bear in mind that all our authors, the CRG’s directors and research associates have generously volunteered their time and energy to Global Research. Therefore, we ask that you consider actively supporting Global Research through an annual or monthly membership, and show that you value having ongoing access to independent, incisive news and analysis. 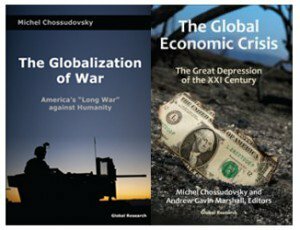 Don’t forget that every new subscription for a one-year membership is entitled to a FREE copy of « The Global Economic Crisis: The Great Depression of the XXI Century« , edited by Michel Chossudovsky, as well as a FREE copy of the new book from Global Research, “The Globalization of War: America’s “Long War” against Humanity“ by Michel Chossudovsky. All new monthly memberships are entitled to receive the e-book « Towards a WWIII Scenario: The Dangers of Nuclear War » by Michel Chossudovsky. Please show your support by starting your Global Research Membership today. If you are already a member, we extend our sincere thanks for your support, and encourage you to share this information with others! For your convenience, payments are accepted online (using MasterCard, Visa or PayPal), by mail and by fax. Visit our Online Store for more information.